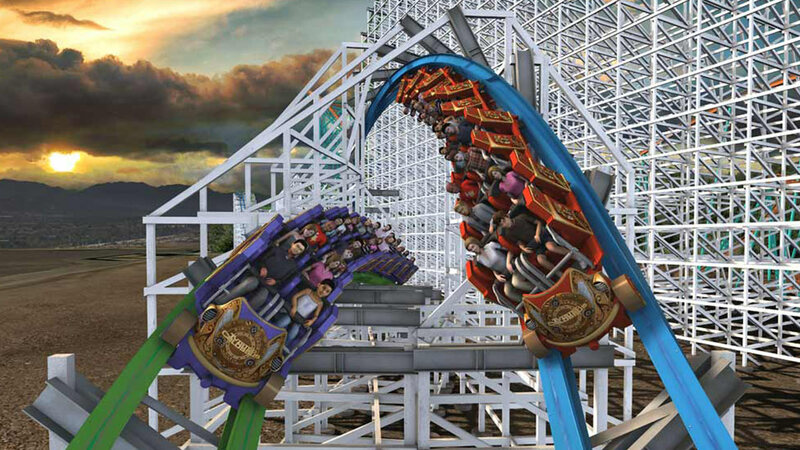 VALENCIA, Calif. (KABC) -- Six Flags Magic Mountain in Valencia is getting a new ride to replace its famed wooden roller coaster Colossus, the theme parked announced Thursday. 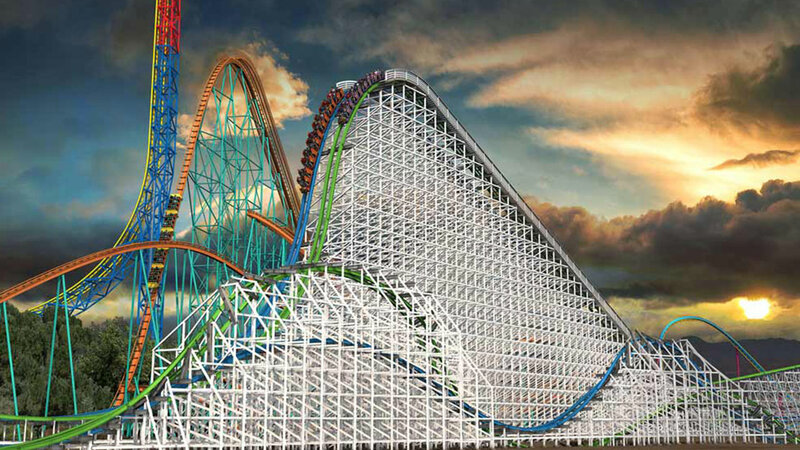 Twisted Colossus, described as the world's longest hybrid coaster, is scheduled to open in spring 2015. The park says the ride "will combine the classic thrills of a wooden structure with a new modern track and rails constructed out of steel." With 5,000 feet of track and 18 hills, including a 128-foot drop at a steep 80-degree angle, the ride will last about four minutes. At one point, two trains will pass by and face each other, which is meant to give riders the illusion that they can "high five" each other. The coaster will also feature a "Top Gun Stall," described as an inversion where the train slows down upside-down, and a Zero G Roll, where the track twists 360 degrees. Six Flags Magic Mountain in Valencia is getting a new ride to replace its famed wooden roller coaster Colossus, the theme parked announced Thursday. "With Twisted Colossus, innovation will go to an extreme level with record-breaking elements, faster speeds and steeper banks," said park president Bonnie Rabjohn. The original Colossus, which opened in 1978, closed Aug. 17. It was 125 feet tall and reached up to 62 mph. Tap here to view slideshow if viewing on the news app.